Yes it’s FINALLY that time of year 🙂 Are you geared up for it? I’m gettin’ there! Come one. COME ALL! 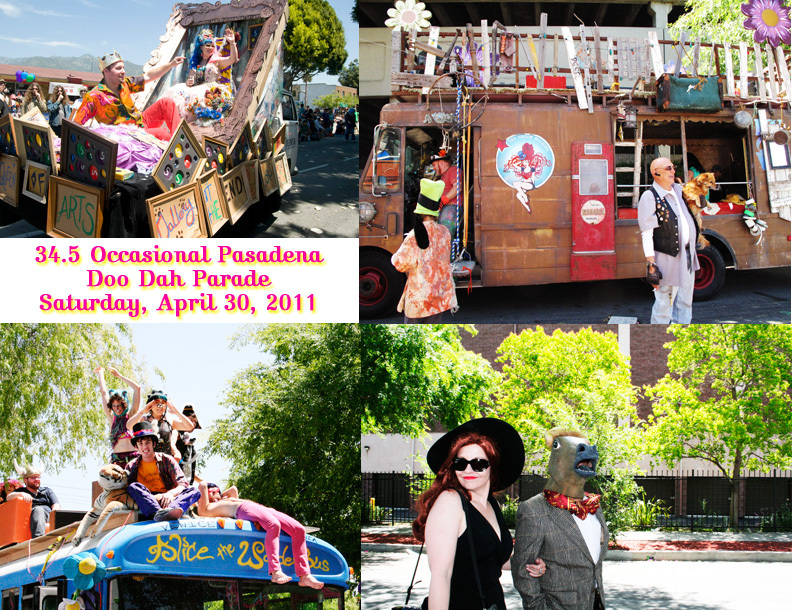 To the 34.5th Pasadena Doo Dah Parade on April 30th (starts around 11am-ish). Come watch over 100 entries defend their right to be ridiculous at this annual spoof of the Rose Parade. Always free, always fun, bring a lawn chair. That’s Saturday, April 30th at 11:00am and have a Doo Dah Day. For more information & a map of the route go to www.pasadenadoodahparade.info. Introduce yourself if you see me running around with a big camera around my neck and pink/green hair! This entry was posted on Thursday, April 7th, 2011 at 6:24 am and is filed under Events. You can follow any responses to this entry through the RSS 2.0 feed. You can leave a response, or trackback from your own site.